With the Rio Games fast approaching, we’ll all be on the lookout for the next inspirational story. Whether it’s an athlete overcoming adversity to win gold, a youngster beating the odds or an athlete from an underprivileged country wowing the crowds with their performance, there’s sure to be a number of stories that live long in the memory following on from the next Olympic Games. Eric Moussambani was a swimmer from Equatorial Guinea at the 2000 Olympic Games in Sydney. Where this story really gets interesting though is that, on arrival at the aquatic complex, it was the first time he had ever seen an Olympic sized swimming pool!! Having only taken up swimming a few months before, he was granted a wildcard entry into the Olympics through a scheme designed to give a once in a lifetime opportunity for those from developing countries with restricted training facilities. Despite all of this, Moussambani took part in the 100 metre freestyle and, whilst he finished a resounding last, he captured the hearts of all those in the stands and the millions of people watching on around the world. Arms outstretched as he celebrated his victory in the 200m at the 1996 Atlanta Games; an image etched into the minds of all those watching on. Michael Johnson didn’t just take home two gold medals, he had left the competition in his wake and also smashed two world records in the process. After dominating the 400m race and crossing the line 43.49 seconds, with just a few days’ rest Johnson was back to do it again, but this time in the shorter 200m. In the space of 19.32 seconds, Johnson had done it. Two gold medals, two world records; job done. Winning one gold medal at the Olympic Games is enough for you to go down in the history books, but how about winning eight? Well that’s exactly what Michael ‘The Fish’ Phelps achieved at the 2008 Beijing Olympics. 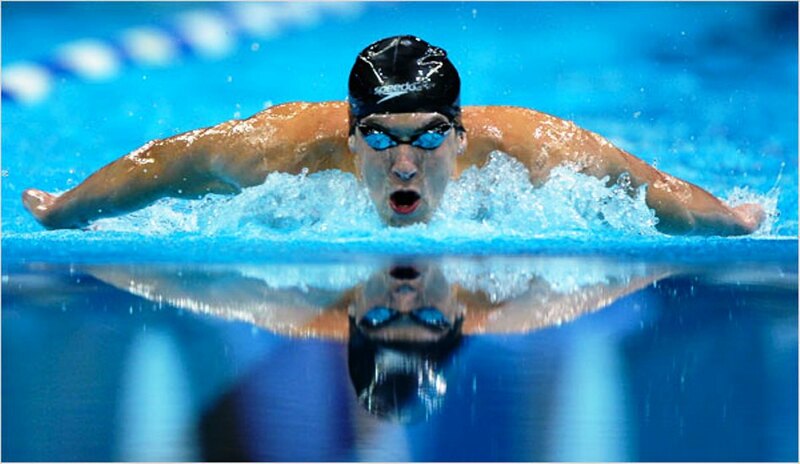 Dominating in the pool, the American eclipsed the previous record set by Mark Spitz of seven golds in one Games- a truly astounding achievement from an athlete who had to reach peak levels of performance time and time again over just a few days to see off the competition. Overcoming heartache to achieve is truly inspirational, and the story of Matthias Steiner at the 2008 Olympic Games is one sure to bring a tear to your eye. Just a year after his wife died in a car accident, Steiner won gold in the super heavyweight division by lifting almost 30 pounds above his previous best in the clean and jerk. An incredible feat following what must have been one of the worst years of his life, the German highlighted just how to overcome adversity in the most spectacular fashion and won legions of new fans in the process. 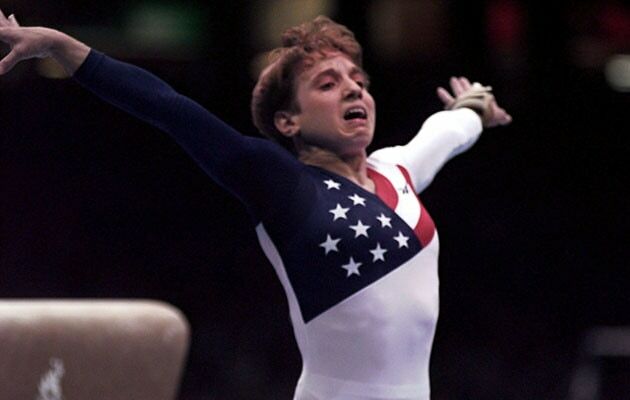 A member of the American ‘Magnificent Seven’ from the 1996 Olympics, Kerri Strug played a pivotal role in claiming the USA’s first ever team gold in women’s gymnastics. Why you ask? Well on her first attempt on the vault, Strug injured her ankle but rather than just give up on her and the team’s dream of a medal winning performance, she got back up and tried again. She landed her second vault attempt perfectly before dropping to the floor in sheer agony from her injured ankle. Her heroics and the performance of the rest of the team turned out to be enough though as the judges awarded enough points for the US to defeat the Russians and claim the gold for the first time in history. There’s our first five inspiring moments from Summer Olympics of years gone by, so make sure you don’t miss part two next week with our top 5.